The BNO080/085 is a 9-axis System in Package (SiP) which enables rapid development of sensor-enabled Augmented Reality (AR), Virtual Reality (VR), Robotics and IoT devices. Co-developed by Bosch and Hillcrest Labs, it features a high-performance accelerometer, magnetometer, and gyroscope with a low-power 32-bit ARM Cortex M0+ MCU in a small package. Hillcrest’s Freespace® sensor hub software pre-integrated on the BNO085 provides exceptional 9-Axis and 6-Axis motion tracking to enable exciting sensor applications in diverse consumer and IoT products. For new designs, Hillcrest Labs recommends customers consider using the BNO085. The BNO085 is backwards compatible to the BNO080 in fit, form, and function; there are no changes required in software or operation of the part for current designs. The BNO085 simply adds a new capability which allows operation with future application specific external software libraries provided by Hillcrest Labs. The first such library provides additional advanced capabilities for use with VR controllers. The BNO080/085 provides application specific configurations, features, and performance in a small turn-key component that benefits OEMs through faster time-to-market, reductions in development time and BOM cost, and delivering the highest precision and quality. With sensors and software pre-integrated, the BNO080/085 eases system integration, provides faster time to market and reduces development costs. The BNO080/085 provides both a head-tracking solution and a 3DoF controller solution for AR and VR products. 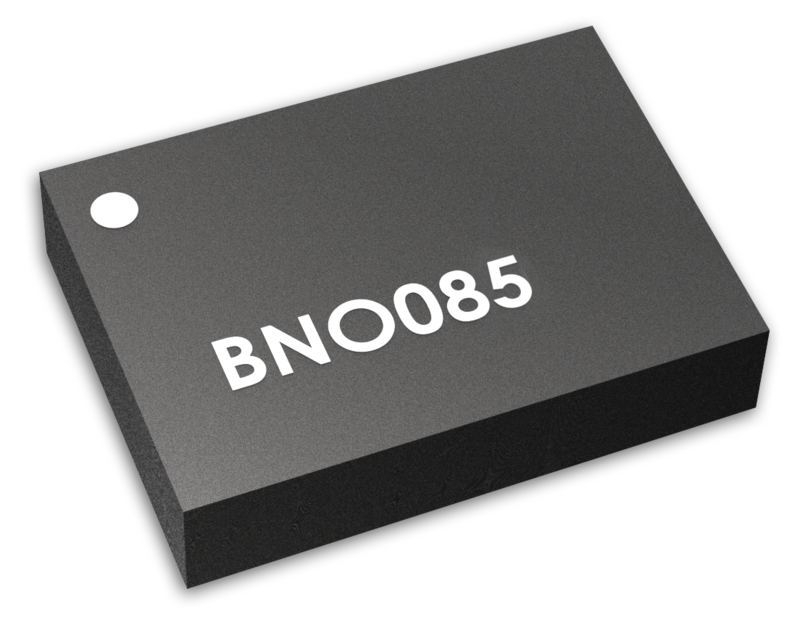 Low power consumption and compact size (5.2mm x 3.8mm x 1.1mm) make the BNO080/085 ideal for head worn devices, where both power and space are limited. The BNO080/085 provides low latency, high sample rate, exceptional tracking accuracy and smooth orientation updates, yielding superior head tracking performance. An enhanced feature in the BNO085 enables the use of an add-on software product to improve VR controller performance through the integration of both inside-out and outside-in camera systems. To learn more about this feature and how to evaluate it, please contact us. The BNO080/085 is optimized for service robots such as cleaners that employ Simultaneous Localization And Mapping (SLAM) or other ‘intelligent’ navigation solutions. The combination of Hillcrest’s proprietary software and 9-axis sensors delivers superior heading performance even when the surface is not level.